Notes: Apse remaining is A listed. 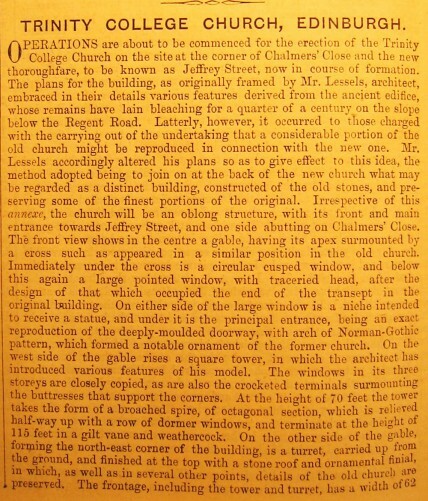 1858 competition had 58 entrants in total. George Simmonds of London awarded second place; Oliver & Lamb awarded third. Trinity College Church was demolished in 1848, each stone being numbered as it was intended to rebuilt the structure. 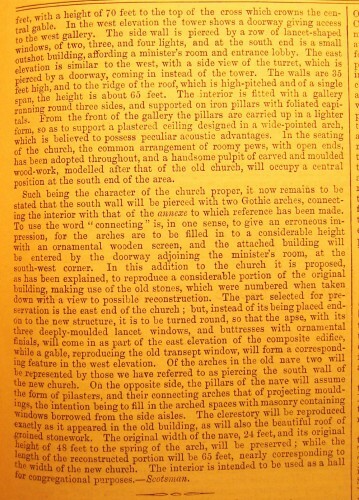 However, the stones lay dormant for years in Regent Road and only a small number, comprising the apse (this part only listed and scheduled) and part of the choir were used in constructing the hall of the new Trinity Church on this site, begun in 1872 and opened in 1877.